Acting on behalf of Broadland Properties, Gent Visick have provided strategic market / agency advice on the 1 million sq. 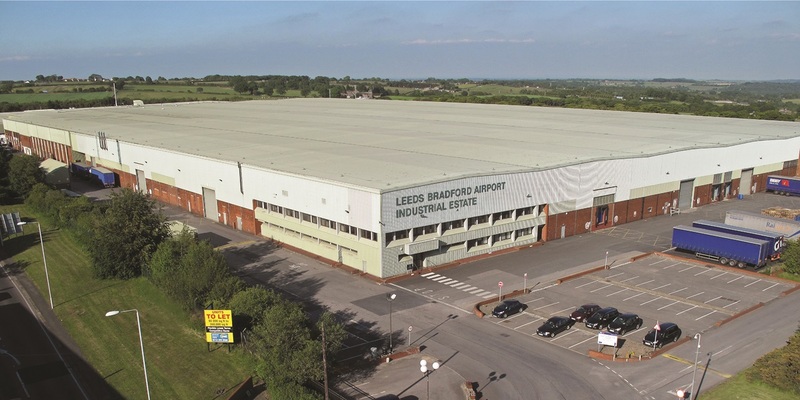 ft Leeds Bradford International Airport Depot in Yeadon. Gent Visick first successfully completed the letting of 101,000 sq. ft. to specialist toy and household goods distributor Grant & Bowman in 2015, to further expand their Yorkshire presence after being situated in Bradford for a number of years. This letting, not only filled a large void on the estate but increased the estate occupancy rate to 90%. Following Bibby Distribution relocating to Normanton, Gent Visick then let 100,000 sq. ft to Vernon Land Transport in 2016 and 420,000 sq. ft to Dixons Carphone Warehouse Group in 2017. “Broadland Properties Group were concerned when Bibby Logistics, their major tenant at Leeds Bradford Airport Industrial Estate for over 15 years, decided to relocate their operation to Normanton. This left us facing a 373,000 sq ft void which we were keen to re-let as soon as possible. Given the large quantum of now vacant space we anticipated a costly void period. Gent Visick introduced Vernon Land Transport and negotiated the letting of 100,000 sq. ft to them within a month of Bibby departing, and then introduced Dixons Carphone Warehouse Group who took the remaining 270,000 sq ft albeit on a short term basis. GV then went the extra mile for us, continuing a dialogue with Dixons to understand their operations, and this has resulted in Dixons committing not only to an additional 150,000 sq. ft but extending their lease on the whole 420,000 sq ft for a further 2 years. Not content with this GV have continued to speak to Dixons to see how we can re-configure their units to secure their longer term occupation. GV are a niche player with specialist knowledge, but they also have the energy, tenacity, and ability to engage in proactive discussion with occupiers old and new – just what we needed at the time”.